If home is where the heart is, then I have two homes. One of which I’ve never lived in. But it was my mom’s home for 25 years. And wherever my mom lived, my heart was there with her. 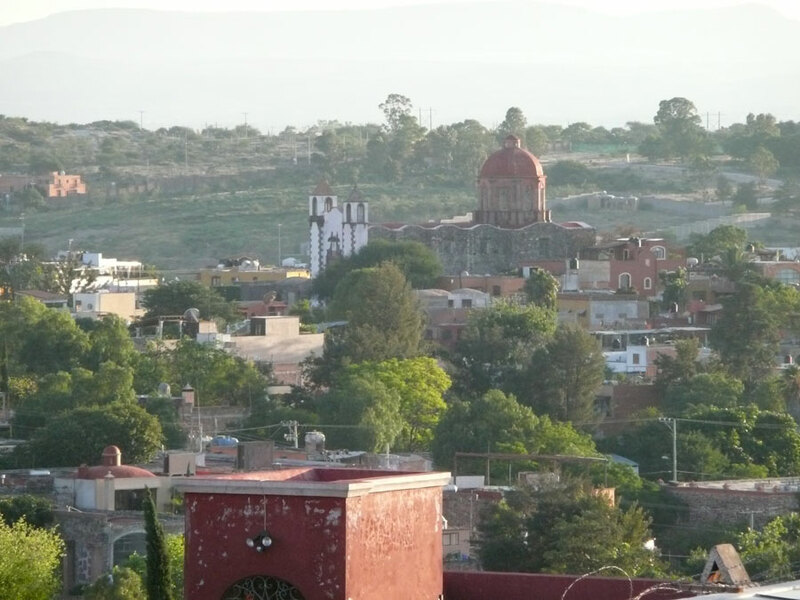 The last time I was in San Miguel de Allende, Mexico, was with my brother and sister to say goodbye to our mom forever and, as I discovered later, to leave my heart there with her. A full year after my mom’s death, my mind wanders back to San Miguel. The pull is strong, but not nearly as strong as Italy, and it’s for different reasons. Italy is our home. We chose to live here. Ever since the lure of Italy wrapped itself around my husband and me, we’ve never doubted that we did the right thing by moving here. Still, San Miguel calls to me through my mom. I know I could never live there, beautiful as it is. It’s too noisy, too congested, and too full of wealthy Americans who have replaced the charming, small houses with mansions and large hotels that don’t fit in with the local ambience. 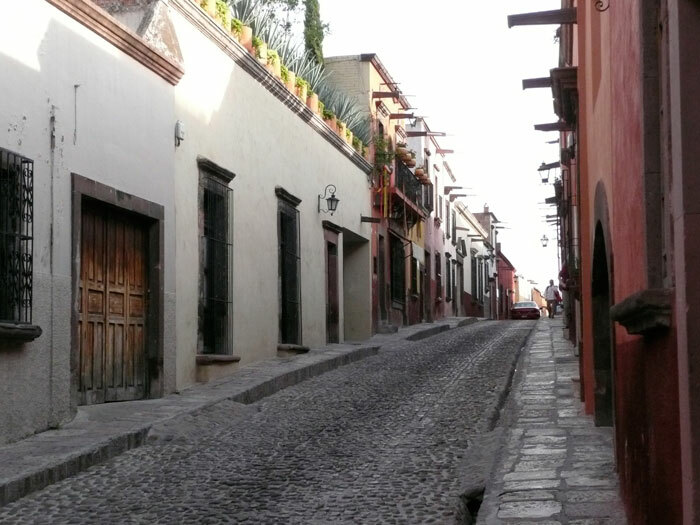 Luckily, one can still find the untouched streets that are the heart and soul of San Miguel. When my mind wanders back, I feel the cobblestoned streets under my feet, I smell the cooking tortillas through open windows, I sweat under the intense sun and heat and stop to catch my breath as I walk up the steep hills at 7,000 feet. I hear babies crying, Spanish, endure the endless stream of pick-up trucks, I choke on the exhaust. The names of streets roll off my tongue: Tenerias, Pila Seca, Umaran, Zacateros, Calle de Aldama, Sollano. 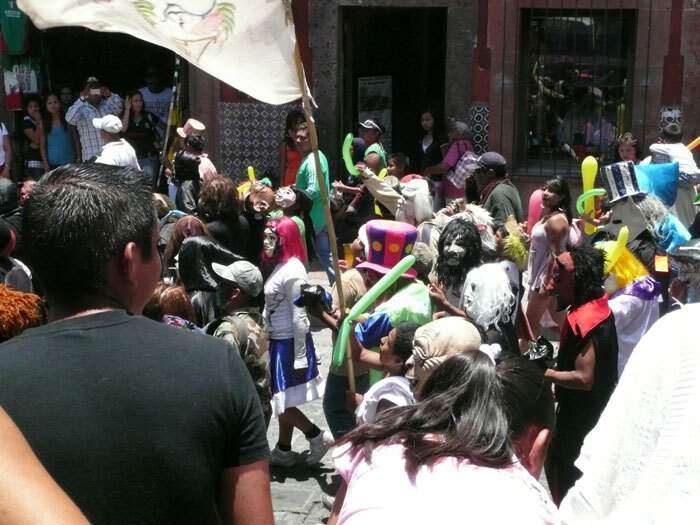 I sit in the Jardin and gaze at La Parroquia, or watch one of the parades that seem to dance through the historic center every day. 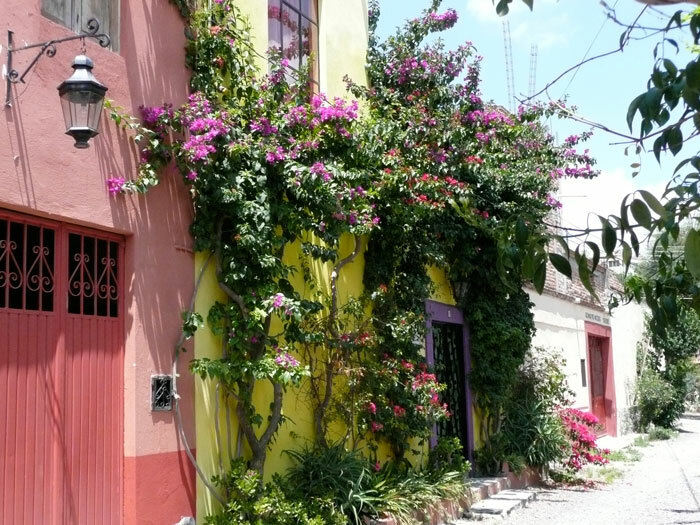 Then I walk away from the congested center and discover the quiet San Miguel with its small gems of painted doors surrounded by climbing bougainvillea. I sit on the terrace of my room at the colorful B&B that’s owned by my mom’s best friend and remember how this “second family” of my mom’s became mine as well. 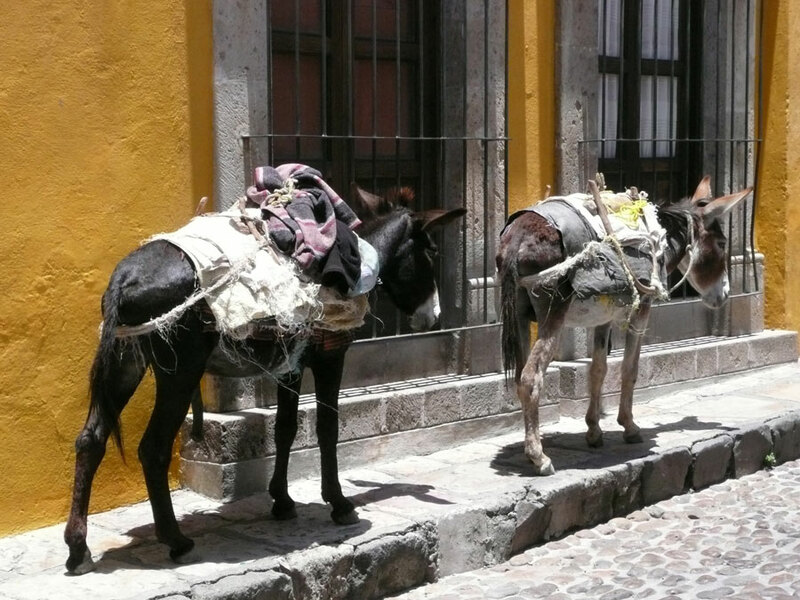 And amidst the pick-up trucks and taxis are the burros that still populate the streets. 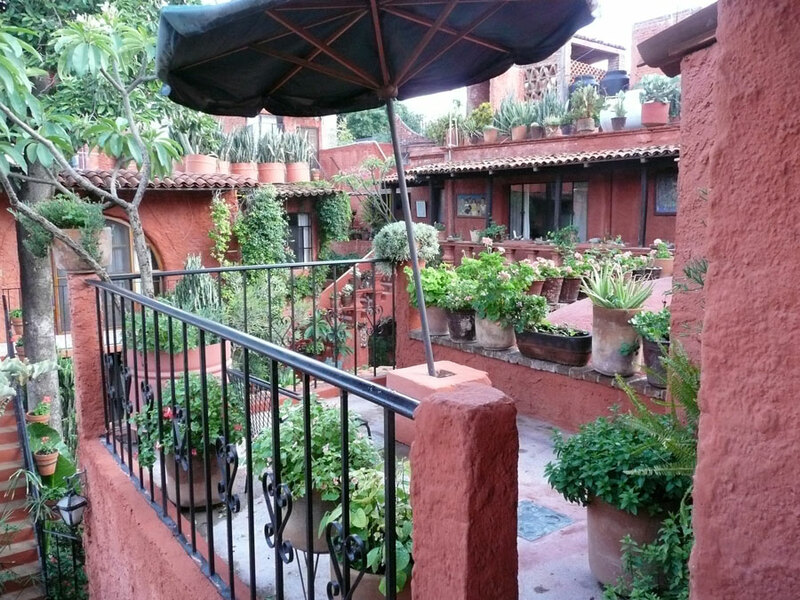 All of these memories tumble through my mind, pulling me back to San Miguel. 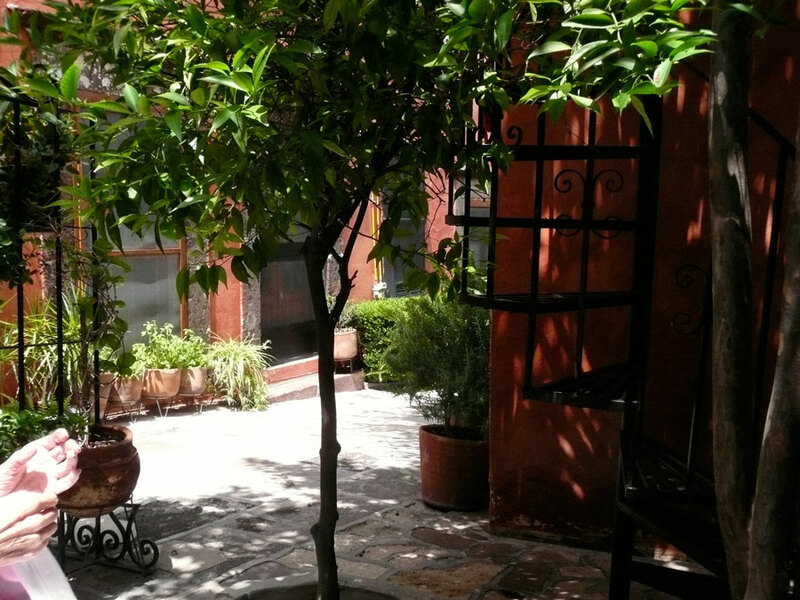 But the dearest memory I hold is sitting with my mom in the cool shade of her patio, watching her beautiful hands as she recounts stories of her beloved San Miguel–the place I left my heart.